Start your own waste removal business by investing in our "Drop and Collect" Skip Business products. Our low capital layout business opportunity has several packages available with excellent “Return on Investment” results. 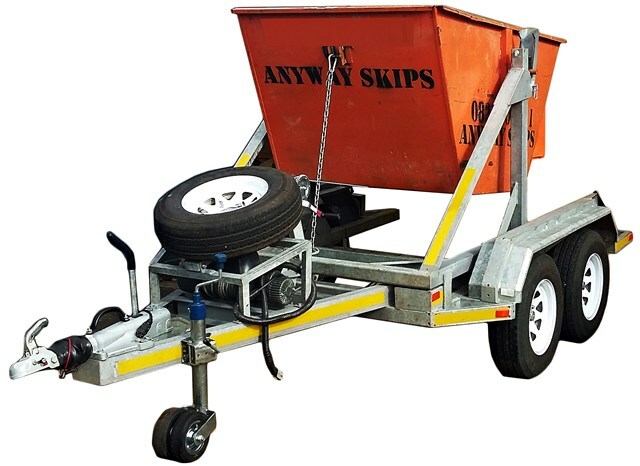 The double axle skip trailer system consists of a 3500kg GVM trailer and skip bins with a 2500kg loading capacity. Various options available. Additional skips available for sale or to rent. Separate skip rental form with Terms & Conditions to be signed prior to renting of skips.